While RFID healthcare technology is amazing and can greatly contribute to a medication error reduction plan, the process of selecting a hospital pharmacy RFID automation system for the management of kits and trays at your health system can be overwhelming, with lots of details to consider. In addition to talking to other hospitals about their experiences with various RFID healthcare technologies, it’s important to look at what features and benefits pharmacists and their staff consider non-negotiable. Here is a handy checklist of 8 key items to review to be sure you avoid common pitfalls and make the right decision for your team and facility. 1. High Quality Technology — High quality and reliable RFID technology is a critical requirement in healthcare applications and specifically when managing pharmaceutical inventory, where hundreds of RFID-tagged items (often small vials) reside in small enclosures and are difficult to read. Ideal solutions are custom-designed for healthcare applications and proven to support unique pharmacy requirements with the verified ability to accurately scan a high volume of meds in any kit/tray/box/bag form factor in which they are utilized. RFID technologies custom-built for healthcare pharmacy applications should ensure total visibility to the right items, while supporting existing workflows (medication kits and trays presented in often unpredictable orientation, i.e. in layers, pockets and compartments of kits, trays, boxes, and bags.) In addition, the risk of unintentionally receiving RFID tag signals from outside the workstation should be eliminated with advanced features such as RF shielding. 2. Safe Processes – A variety of workflow processes are possible for RFID encoding, but error reduction and patient safety should be paramount when considering these options. To avoid the risk of product mix-up, ideal solutions do not require or recommend drug relabeling, supporting currently accepted FDA recommendations for RFID tag usage. Keep in mind, every human error contributor you can design out of your process improves the safety and quality of care you deliver. >>Download our RFID Tag Encoding Best Practices white paper to learn more. 3. Functional Design — Space is at a premium in the pharmacy. Any product should provide flexible placement and mounting options (under counter, over counter, etc.) to fit the limited space available. All-in-one computers and touch-screen interfaces are great options that further save precious counter space while also improving workflow. Just as important is a staff-friendly design that maximizes comfort and prevents pain and injury. Ergonomic considerations such as fold-down desk surfaces and height installation options optimize comfortable, functional use. 4. Efficient Workflows — Ideal workflow processes maximize efficiency and save time without compromising safety. For example, can pharmacists encode like-medications and approve all quarantined medications by batch, simultaneously scanning and encoding or approving in a single step? In addition, with evolving pharmacy practices, systems should offer the flexibility to configure a variety of approved pharmacist and technician processes and audit specifications by tray type. Single or multi-step deployment processes should be supported and the chain of custody documented. 5. Detailed Visibility — A key benefit of RFID automation solutions is the visibility they provide to expedite identification and location of soon-to-expire or recalled medications. The right solution should provide item-specific location tracking for all kits and trays, with alerts and reporting to enable fast identification of all impacted inventory. 6. Full-Service Implementation – An important consideration for RFID automation is the implementation team and service model of the provider. Is an on-site implementation team offered and if so, what is their background? Are they experienced pharmacy technicians? Do they provide installation, conversion and ongoing optimization services? How will your staff be trained to use the system after implementation? What type of ongoing support is provided? 24×7 support availability is of course ideal. 7. Proven IT Architecture — Your provider’s IT architecture platform impacts the ongoing stability and security of your solution. Confirm that only time-tested, secure and proven development platforms are used. While open source platforms might be more economical, the risk from a security and scalability standpoint, particularly in the healthcare market, should be seriously considered. We hope this checklist is useful in helping you make the best decision for your hospital or health system. 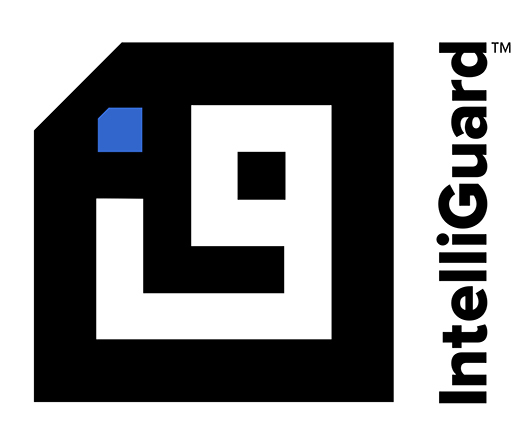 If you have any questions please feel free to email us at info@intelliguardrfid.com or through the link below. We’d love to hear from you.